RIO DE JANEIRO, BRAZIL – This Friday, April 6th, Rio expatriate and English singer Jesuton, will star at the Teatro Rival Petrobras, in Cinelândia, at 7:30 PM. 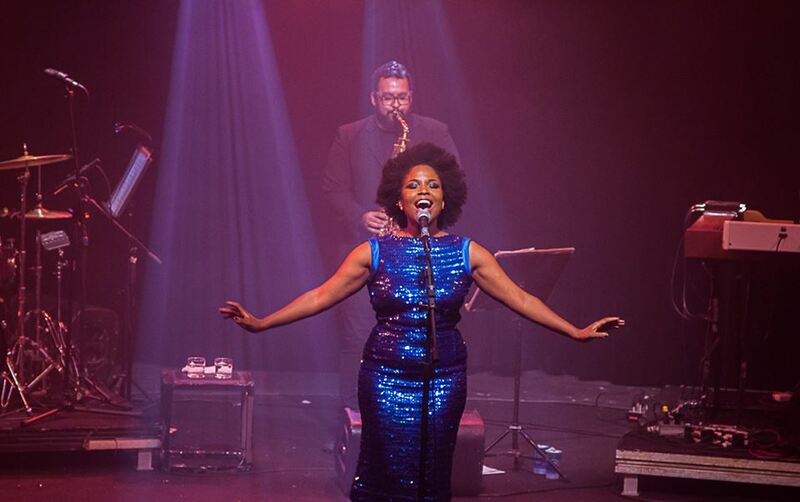 Inviting to the stage the Brazilian band AfroJazz, Jesuton will release her first original album, “HOME,” to Carioca audiences. Expatriate in Rio since 2012, Jesuton, who also sings in Portuguese, will show her talent as a composer in Centro tonight, April 6th, photo internet recreation. Living in Rio de Janeiro since 2012, Jesuton, a Latin American culture enthusiast, first stood out as a talented singer on the internet. Cariocas were amazed by her authentic video performances of hits by Adele, Amy Winehouse, and the Rolling Stones. Daughter of a Nigerian father and a Jamaican mother, the British artist is known for her soulful, stirring musical interpretations of contemporary and classic singles from blues, pop, samba and MPB music. After six years in Rio, Jesuton, who also sings in Portuguese, has conquered a solid, prestigious place in the Brazilian music scene. Artists like Jose Gonzalez, Nina Simone, Lauryn Hill, and Anais Mitchell are just some of the names who have musically inspired the singer. So far, her growing career includes shows at festivals such as Rock in Rio and São Paulo’s Lollapalooza. Jesuton has also participated in the soundtracks of several important Brazilian soap operas. Even though Jesuton’s debut album, “Encontros” (Encounters), was released in 2012, “HOME” (launched in 2017) is her the album that is exclusively composed of Jesuton’s original work. The album is produced by Mario Caldato Jr., a renowned American Brazilian music producer who has been awarded a Latin Grammy on two occasions. “HOME” reveals Jesuton’s intimate universe, characterized by her poetic search for a place to call home. The album includes Brazilian artists like Seu Jorge (“Don’t Think So”), Dani Black (“Fragile”), as well as the Italian guitarist Salvatore Cafiero (“Vultures”). What’s more, tonight’s show will have a special appearance by the band AfroJazz.